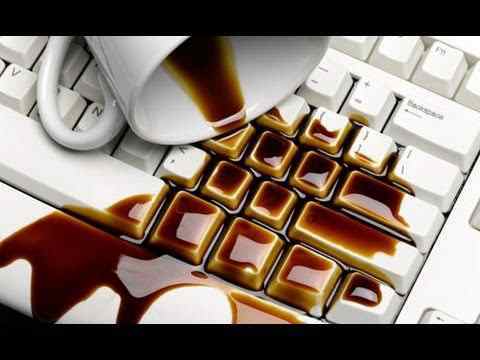 It’s sort of a no-brainer, but liquids of any kind don’t mix well with electronic devices, and depending on the circumstances, a spilled drink may equal a replacement for your pricy keyboard. The easiest way to avoid spills is to avoid having liquids at your desk. But let’s be honest, if you’re sitting at your desk for long periods of time, you’ll probably end up bringing a snack or drink to your desk, and spills do happen. Fortunately, there are a few things you can do if you have a spill. For starters, unplug your keyboard to prevent electrical damage and clean out as much liquid as possible with rags, towels, or by turning your keyboard upside down on a towel. Depending on your type of keyboard and the type of liquid spilled, you may need to remove keycaps for deeper cleaning. Different keyboards have different steps for taking pieces apart, so you should look up your specific brand and model’s maintenance guide. 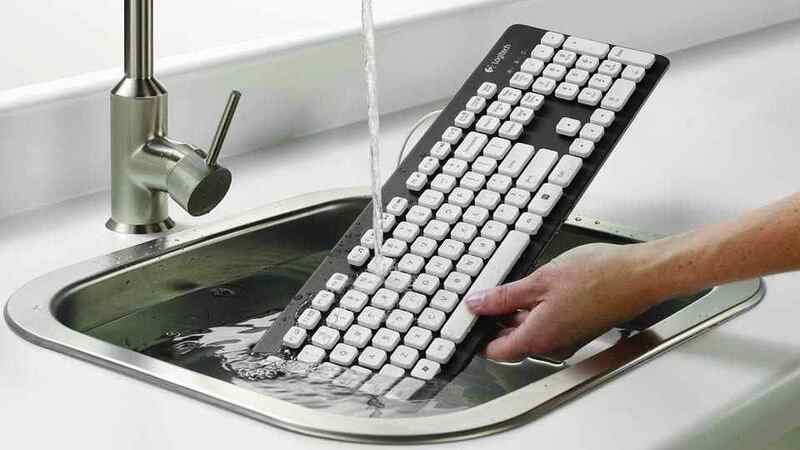 If it’s a Das Keyboard that gets soaked, try this handy guide to cleaning spills. You didn’t buy your mechanical keyboard because it was cheap. You bought it because you wanted to invest in better equipment that should last a long time. If you don’t give it the proper maintenance, you may experience some performance issues like sticky keys or reduce the life of your keyboard. 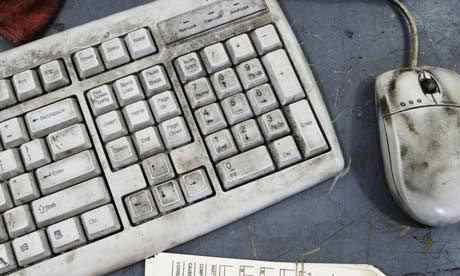 Plus, have you ever seen keyboards that haven’t been cleaned in a long time? They can get pretty gross. Make regular cleanings a part of your routine to keep your keyboard from collecting germs, grime, and debris. While you definitely should clean your keyboard once in a while, you should do it the right way or you may accidentally damage your keyboard. Always check what your manufacturer recommends for cleaning, especially when using chemicals, such as isopropyl alcohol, or removing tricky pieces, such as larger keys. What works for one keyboard may break another. If you want to clean a Das Keyboard, check out this maintenance guide. It’s super frustrating when your team loses a close game or you die on the last boss battle, but try not to take it out on your keyboard. 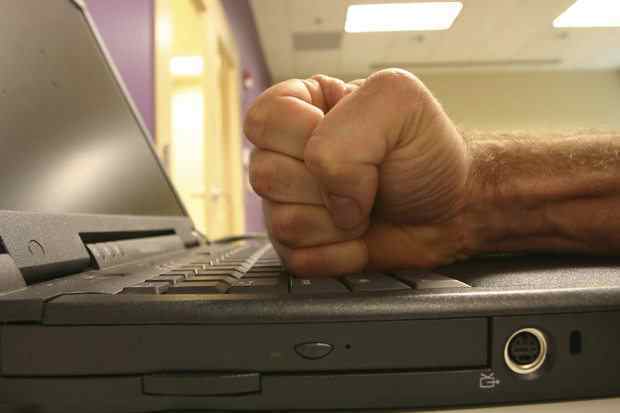 Repeatedly pounding keys harder than necessary or hitting your keyboard with your fist or other objects can lead to broken keys or switches that can be difficult or costly to fix. Try to relieve stress in other ways that don’t involve raging on your keyboard. Transporting your keyboard incorrectly can lead to similar problems as rage smashing, such as broken switches or keycaps. Next time you have to move your computer, make sure to protect your keyboard from extra damage by using a snug case that will reduce impact. Keyboard slings are great portable options that protect your keyboard and make it easy to carry. 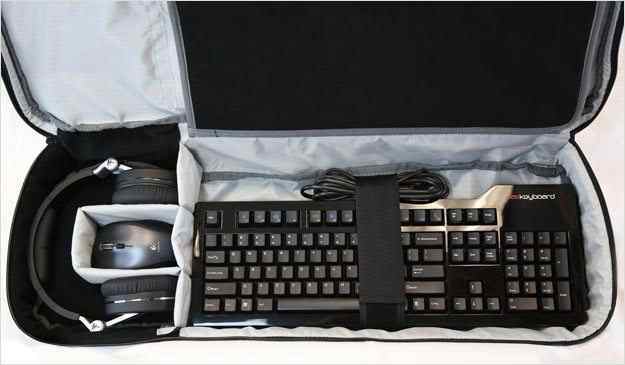 Some, like this one, even protect your other gaming accessories like your mouse, cables, and headset. Have you accidentally damaged a keyboard? How did you fix it? 4. Or just get another keyboard (preferably a crappy membrane) and smash that one instead. LOL, that’s what I do for when I need the be quiet around people in the room. If people complain, I can just swap keyboards with the Dell. Not ideal, but necessary at times.